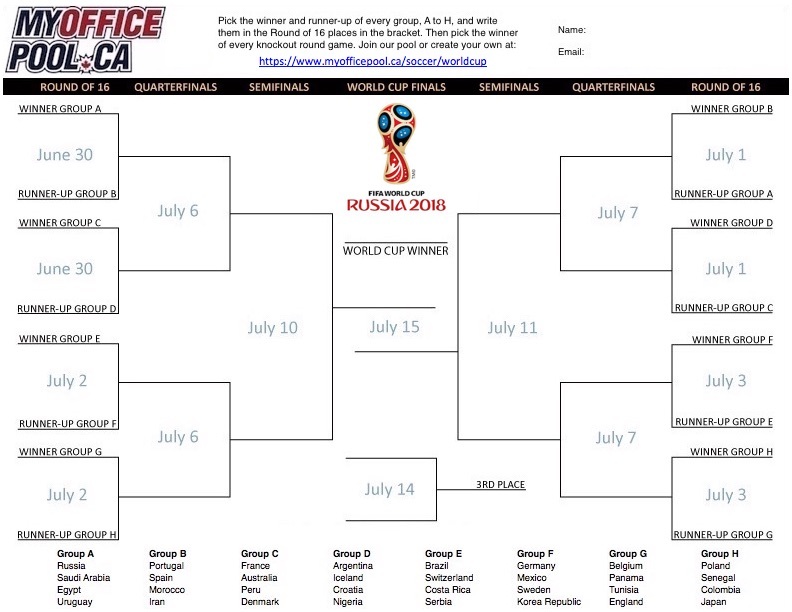 Welcome to our World Cup Soccer Pools! The beautiful game returns! Pick all the group winners and winner of every knockout round game to the Final. These pools are currently unavailable. Friends not very tech savvy? Have them fill in our printable bracket and add them to your pool with the alias feature. Commish Message FIFA WORLD CUP - WOO-HOO! This is our public pool for the greatest sporting event played every four years, and yes, I am including the Olympics - summer or winter. Those are great too, but still, soccer! Join our public pool by filling in a bracket picking the 1st and 2nd place teams from the Group stage and knockout round winners all the way to the Final. Then sit back and enjoy the games. Free entry. Limit 1 entry per member. Expect a lot of entries in this one so big time bragging rights are on the line. 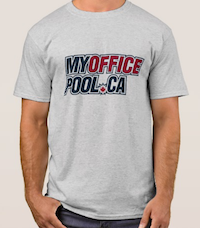 Plus I am giving away some MOP t-shirts and maybe some other stuff we will figure out between now and June. Good luck! If you are looking for a pay-to-play pool then you are welcome to join Mike's From Russia With Love World Cup pool ($22 entry).